When it comes to beverages, most people are drinking beverages chocked full of lots of sugar. In our home, we don't do soda. 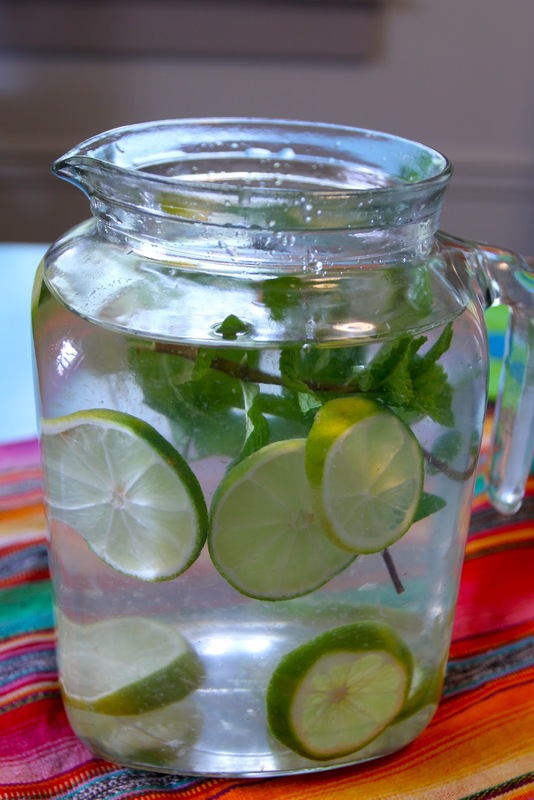 Though I mostly drink water when I'm thirsty, I'm looking for something with a little flavor every now and again. I love tea...actually I should say I am passionate about tea, but sometimes tea just won't do. When I saw that flavored waters were coming into style, well sir, I just had to try it out for myself. Because it looked refreshing. And also? I bought a new glass pitcher which is oh-so-cute and I thought to myself, "Wouldn't it be just precious if when I opened the fridge there was flavored water inside??" Oh course it would. My husband made fun of me a bit when I was making this water. His exact words were "You're such a a good cook you even make your own water." Ha ha hubby, keep laughing and I won't share my fancy flavored water with ya! I decided to go with something simple for my first try: lime and mint. Seemed perfect with temperatures threatening to go into the 90s!! Throw your mint in your pitcher. I used four sprigs. 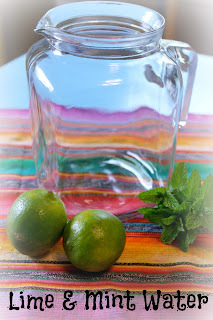 You are gonna use two limes for this recipe. 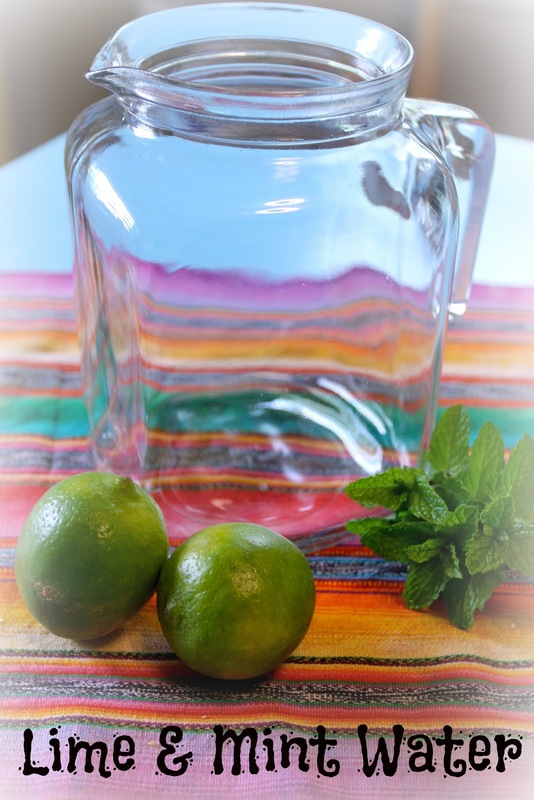 Slice one of your limes in half and squeeze the juice of one half directly into the pitcher. With the remaining lime and a half, slice into rounds. Put them in the pitcher! Put it in the refrigerator for a couple of hours and then ENJOY! 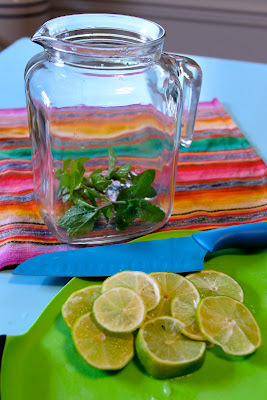 This is easy and totally refreshing!!! Flavored water tip: I say that if you plan on consuming this, do it all in one day. If you have some leftover, say after a party or something, remove the fruit from the water because the rinds and stems continuing to stay in the water will give it a bitter quality.